In support of Lawrence Home Nursing Team. 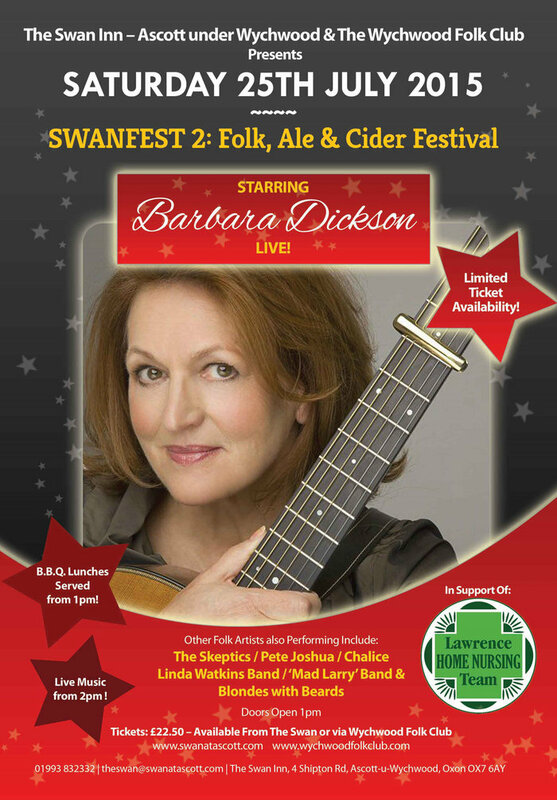 Tickets £22.50 – available from the The Swan or Wychwood Folk Club. BBQ lunches served from 1 pm and live music from 2 pm.